What better place is there to skydive, than above the beautiful Cape Peninsula. 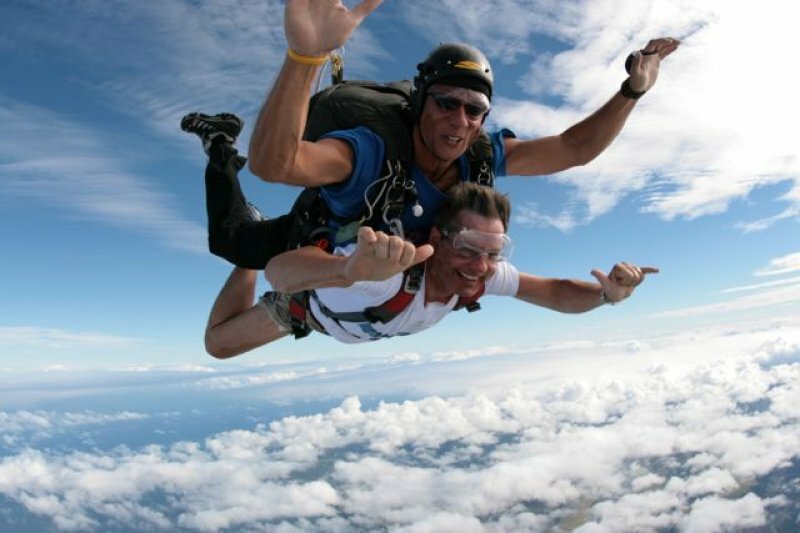 We also offer skydiving jumps in other areas in South Africa and Namibia. Most popular are Cape Town and Swakopmund Skydiving sites. On the way up in the aircraft, the view is breathtaking. To the South, the Mother City of Cape Town lies sandwiched between towering Table Mountain and bustling Table Bay harbour. Further to the south, and to the far side of the mountain, lies False Bay, Hout Bay and the splendour of the South Peninsula as far as Cape Point. To the West, you will spot Robben Island – Cape Town’s own Alcatraz – and the Atlantic breaking on the beautiful Cape West Coast, as famous for its icy water temperature as its mouth-watering crayfish. To the North, the Langebaan lagoon , a great kitesurfing and windsurfing venue. Skydive, skydiving tandem jump or line jump in Cape Town. R650 for footage and photos of your jump! The Cape Town Drop Zone operates 7 days a week– weather permitting.